Evoking a classic renaissance theatre in a modern environment, our main stage theatre will serve as home to many local arts organizations. With a focus on acoustical and visual properties, the auditorium features beautiful wood and plaster wall panels designed to heighten audience involvement. 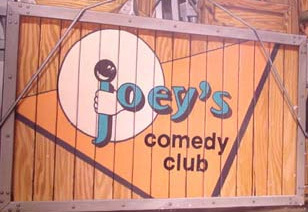 Joey's Comedy Club is the Midwest's Premiere Comedy Club, featuring the best in live Stand-Up Comedians from New York to Los Angeles. BUYING COMEDY CASTLE TICKETS IS EASIER THAN EVER: CHOOSE SEATS BY PURCHASING THEM ONLINE, OR PHONE US AT 248-542-9900 FOR "FIRST-COME-FIRST-SERVED" GENERAL RESERVATION SEATING. Professional Stand Up Comedy, Every Friday & Saturday! 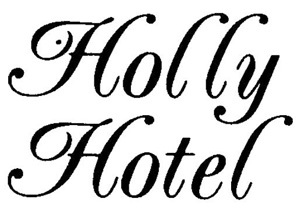 Since 1983, we have been THE venue for the best in Stand-Up Comedians from Los Angeles to New York! 8:30 and 10:30 shows! Ann Arbor Comedy Showcase is one of Ann Arbor’s most unique entertainment establishments. Opening in 1984, above the Heidelberg Restaurant as the Mainstreet Comedy Showcase, the intention was to provide live comedy shows featuring the best of the rising young stars in the comedy business. In 1987, the Mainstreet Comedy Showcase moved to our current location on Liberty, below Seva Restaurant. The Repertory is recognized for its pioneer efforts in all phases of theatre and its strong community involvement. Born and bred in the heart of Detroit. Detroit's crown jewel, the Fox Theatre, has played host to some of the biggest names in show business and holds its ground as one of the top-grossing theaters of its size in the nation. Please see below for important contact information as well as a listing of upcoming events at the Fox Theatre. 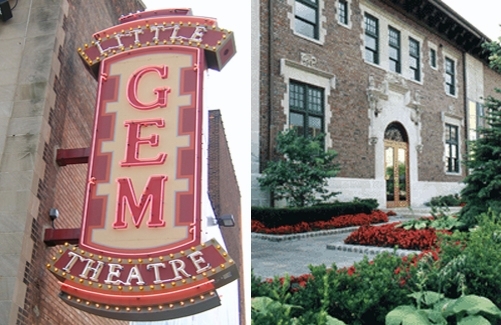 One of Detroit's newest theater gems, the intimate City Theatre is located in the heart of Foxtown inside the Hockeytown Cafe building, next to the fabulous Fox Theatre. 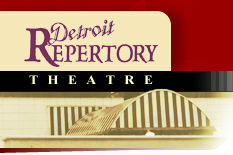 This 430-seat theater has the unique atmosphere of an off-Broadway house, right in the heart of the Motor City, and hosts concerts, plays, comedy shows and more. Wayne State University theatre is Detroit's oldest noncommercial theatre. It is one of the nation's leading and most unique educational theatres. 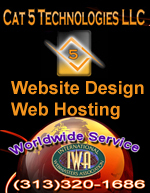 Nearly 200 students are enrolled and/or participate in the three theatres it operates. The Historic Gem & Century Theatres History The Historic Gem & Century Theatres and Century Grille have a history of breaking records. Built in 1903 by the Twentieth Century Association, a group of civic and philanthropic minded women, The Century Club set a precedent even before a brick was laid, holding Detroit’s first building permit issued in a woman’s name. The building opened at the corner of Columbia and Witherell Street on December 26, 1903. Detroit Opera House History Located on the corners of Broadway and Madison at Grand Circus Park, what is now known as the Detroit Opera House was originally opened as the Capitol Theater on January 12, 1922. At the time of its gala premiere, the 4,250-seat theater claimed to be the fifth largest in the world. The theater was the first in a series of palatial vaudeville and moving picture houses built in the Grand Circus Park area in the 1920s. Designed by renowned Detroit architect C. Howard Crane, whose genius for theater design took him to cities around the nation, the building was constructed with superb acoustics and in the style of the grand European opera houses. Crane also designed such Detroit landmarks as the Fox Theater, The Fillmore (formerly the State Theater), and the acoustically perfect Orchestra Hall.